There are many things involved to run a project. Documentation, people, time and money are always involved. As data sources, they are used to develop a project schedule. To manage the tools and processes, a project manager needs skills. Hard skills, soft skills, people skills and technical skills are a few. *A favorite of mine, especially when asked by someone on the team. Shows commitment, dedication and confidence on their part. Always good to have those people on a project team. At times, I have seen an over-reliance on the answer of what the schedule ‘says’ by a manager or customer. Heresy, I know. Don’t get me wrong. I am all for planning, scheduling and getting tasks assigned to dates. But a project is more than a schedule. 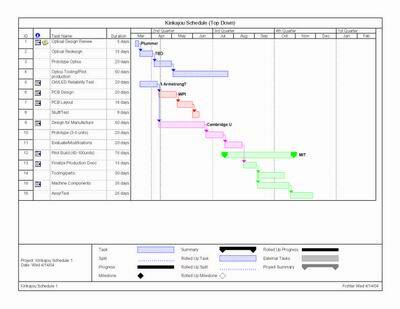 The schedule is one part of the project. It shows where you’ve been, where you are and where you are going. Other parts of the include budget, resource allocation and responsibility. Combine those with the assumptions, risks and choices made that then result in a project. There are ways to find out why a project is not aligned with the schedule. From a previous post, here are six signals to review. What’s your take? Comments invited, as always.